Already guaranteed the #1 ranking for the US Open by reaching the final, Roger Federer dominated Novak Djokovic to win his record 5th title at the Cincinnati masters (Western & Southern Open). Both players had not dropped a set, nor dropped serve leading up to the final. The Swiss maestro broke that streak, breaking Djokovic in the first game of the match, and then twice more in a bagel set. In 20 minutes, Federer was halfway to the title, 6-0. The Serbian fought his way back in the second set, taking better care of his serve and keeping the pressure on the Swiss to serve from behind. Despite that, Federer was impeccable, playing outright aggressive, finishing strong in the front court. He also held a distinct advantage in winning points lasting over 10 shots, a category where Djokovic usually prevails. Taking the Serb out of rhythm and keeping him from establishing the match on his terms, Federer continued to speed thru his service games, and the match went on, into a second set tiebreak. Federer unleashed scintillating forehands on the first point, letting up only with an exquisite drop shot to earn the mini break. However a forehand sailing wide kept the tiebreak even, as the two players switched ends at 3 all, later at 6 all. After two big serves down 4-5, and later saving a set point, Federer was victorious. 6-0 7-6 (7) in 1 hour 20 minutes. It marks the 21st masters 1000 title for Federer, which ties the record with Rafael Nadal. Furthermore it is his 76th career title. Next up is the US Open, which begins August 27. Check out the Swiss maestro’s Nike outfit for the US Open here. 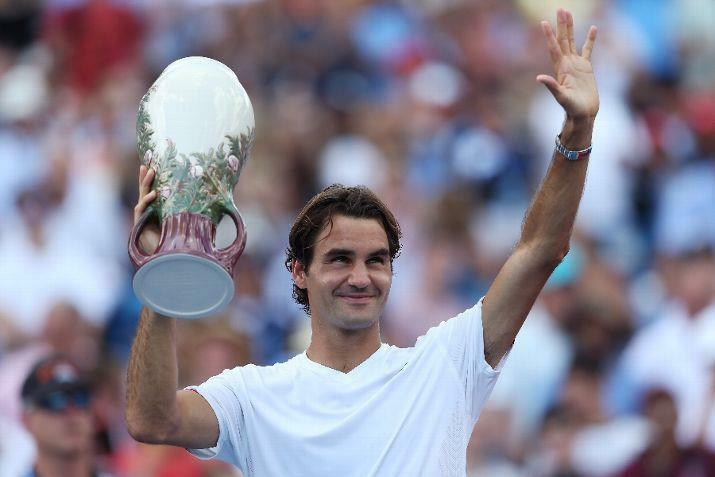 Thank you for watching full coverage of the Cincinnati masters (Western & Southern Open) on FF07tv. Revisit the draw here.